Bush Telegraph is a 5-reel 15-payline online slots game that is all about a tropical forest with appropriate background sounds and fun looking graphics. As soon as you log onto the Bush Telegraph online slot machine you are immediately put into the tropical atmosphere with the background forest sounds. You hear birdcalls, animal calls and a breeze blowing through the trees. The images and symbols are very distinctly drawn and brightly colored. You will find a Bush Baby, a ferocious looking Wart Hog, a Hornbill Bird, Seed Pods, Bongo Drums, a Wild Bush symbol and the letters of the high cards in a deck of cards. The Wild symbol in this online slot game is the Wild Bush symbol. It will substitute for any image excepting the Seed Pods and the Bongo Drums to help you achieve winning combinations. The Seed Pods are the Scatter symbol. When two of them appear anywhere on the reels you automatically win an amount which is two times you bet. But three Seed Pods across the reels takes you into the Free Spins feature. 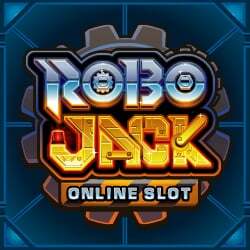 You get ten Free Spins which can be retriggered. Also, the Bongo Drum bonus game can be triggered during the Free Spins feature. If you get three Bongo Drums symbols across the first three reels, you are taken to a second screen for the Bongo Drums bonus game. There you are shown a forest clearing full of different looking Bongo Drums. You are told to pick three. Each Bongo Drum has a bonus prize, and you may end up with a considerable addition to your winnings. 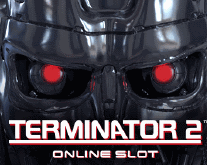 This is a very attractive feature of this online slot game. Last but not least in the Bush Telegraph casino slots game is the Gamble bonus game. Anytime you have a winning round you can elect to Gamble or Collect. If you click the Gamble button, you will be taken to another screen where you can double your win by choosing the correct color between Red and Black, or you can quadruple your win by choosing the correct card suit from the four suits displayed. It’s a bit risky but definitely fun.